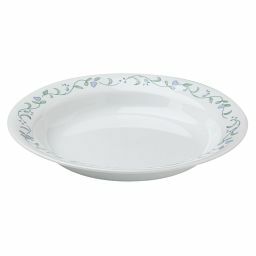 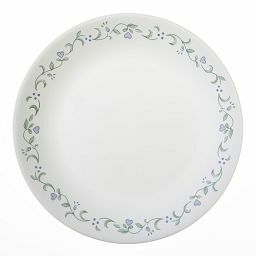 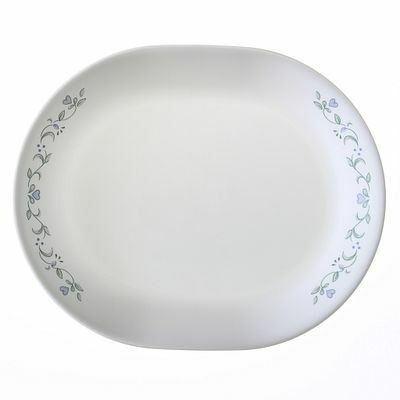 Periwinkle blossoms accent this platter with petal-soft color. 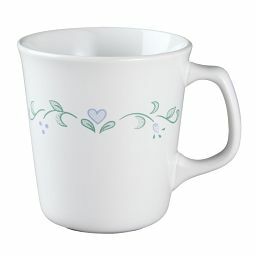 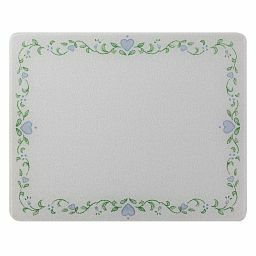 Periwinkle-blue blossoms and hearts embellish this serving platter with petal-soft color. 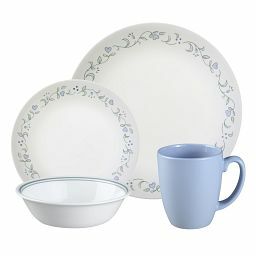 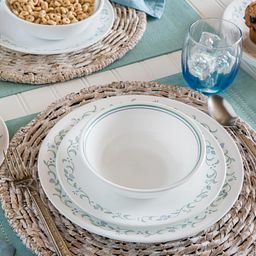 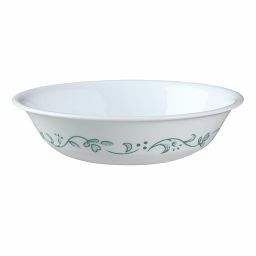 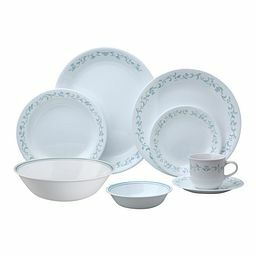 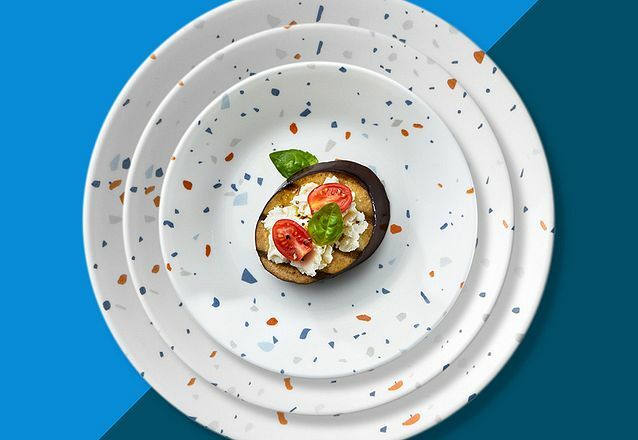 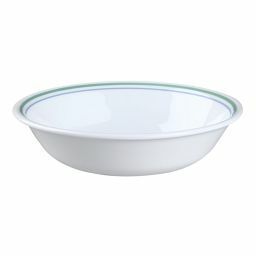 The lacy vines and classic coupe shape add a grace note to everyday meals and festive gatherings.